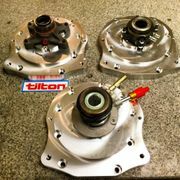 S13 S14 UZ Swaps - 1UZ 2UZ 3UZ Manual Clutch and Transmission Parts, Accessories & Adapters. We ship globally!! Real employees, real tech support 24/7 365 Days. 1UZ 2UZ 3UZ Manual Clutch and Transmission Parts, Accessories & Adapters. We ship globally!! Real employees, real tech support 24/7 365 Days.